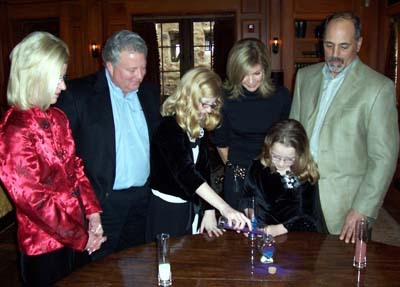 We began the Godparents ceremony with blending the fanilies together with sand. 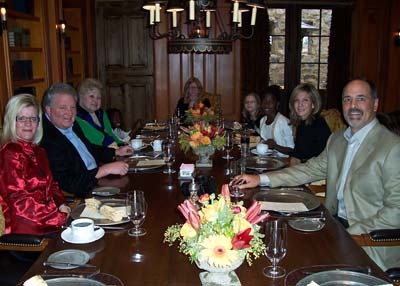 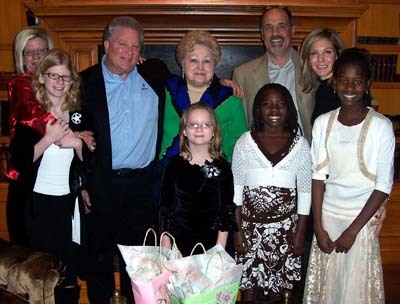 (Left to right) Tammy & Rob Yedor, Samantha & Alexis Yedor (pouring the sand) and Godparents, Peggy & Rick Federico. 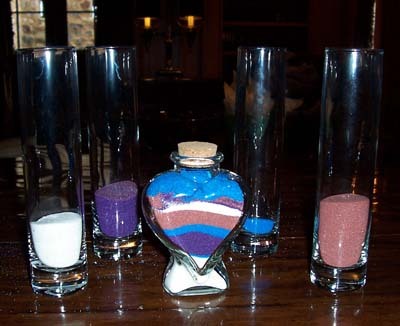 Godparents Celebration Ceremony with Sand - One color for each daughter and one color to represent each family. 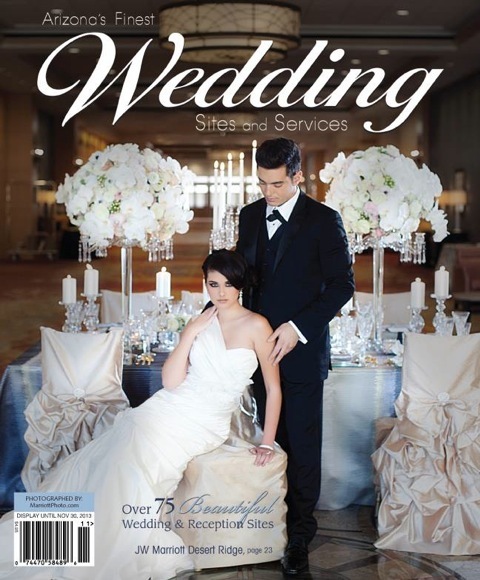 Take a look at the "Godparents Celebration Ceremony with Sand."